Mac users who rely on apps provided through Apple’s App Store are facing some confusion Thursday after an error message caused by Apple incorrectly said that they had to re-install their applications. The problem, as identified by developer Paul Haddad of Tapbots (the makers of the popular Tweetbot client) is that Apple’s Mac App Store security certificates expired Thursday, five years after their original creation. Without a valid security certificate, apps that users tried to open would throw up an ominous message that said an app was “damaged” and couldn’t be opened. Apple quickly tried to fix the problem by pushing a new certificate that expires in 2035 (instead of 2015), but that wasn’t before some users were forced to log in to the store again in order to get access to their apps (which wasn’t helped by some people forgetting their Apple ID password) and others reinstalled the apps in order to try and fix the problem. People who are still having an issue opening Mac App Store apps should be able to just restart their computers to fix the problem. The story behind the story: While this problem has a fairly easy fix, it would seem to illustrate a key point about Apple’s treatment of its storefront for desktop applications. 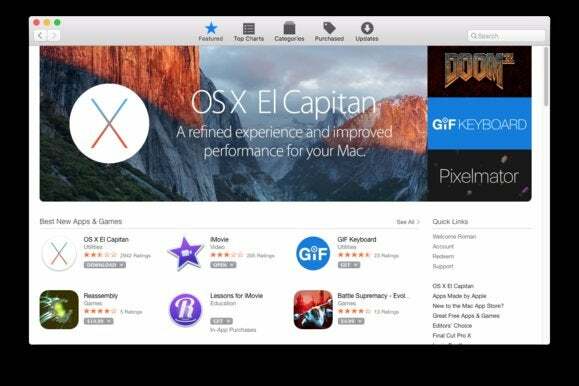 While the company launched the Mac App Store in 2011 for users of OS X Snow Leopard, it hasn’t received nearly as much love as its counterpart on iOS, much to the chagrin of Mac developers. Case in point: Apple hasn’t expanded its TestFlight service for beta testing apps to the Mac App Store, despite adding support for testing apps on the new Apple TV. This incident would appear to be yet another sign of Apple’s lack of focus on the platform.